April was a busy month. Amongst other adventures, I organised the 15th British Gravity (BritGrav) Meeting. This is a conference for everyone involved with research connected to gravitation. I was involved in organising last year’s meeting in Cambridge, and since there were very few fatalities, it was decided that I could be trusted to organise it again. Overall, I think it actually went rather well. Before I go on to review the details of the meeting, I must thank everyone who helped put things together. Huge thanks to my organisational team who helped with every aspect of the organisation. They did wonderfully, even if Hannah seems to have developed a slight sign-making addiction. Thanks go to Classical & Quantum Gravity and the IOP Gravitational Physics Group for sponsoring the event, and to the College of Engineering & Physical Sciences’ marketing team for advertising. Finally, thanks to everyone who came along! BritGrav is a broad meeting. It turns out there’s rather a lot of research connected to gravity! This has both good and bad aspects. On the plus side, you can make connections with people you wouldn’t normally run across and find out about new areas you wouldn’t hear about at a specialist meeting. On the negative side, there can some talks which go straight-over your head (no matter how fast your reaction are). The 10-minute talk format helps a little here. There’s not enough time to delve into details (which only specialists would appreciate) so speakers should stick to giving an overview that is generally accessible. Even in the event that you do get completely lost, it’s only a few minutes until the next talk, so it’s not too painful. The 10-minute time slot also helps us to fit in a large number of talks, to cover all the relevant areas of research. Slide from Teodora Oniga’s BritGrav 15 talk on gauge invariant quantum gravitational decoherence. 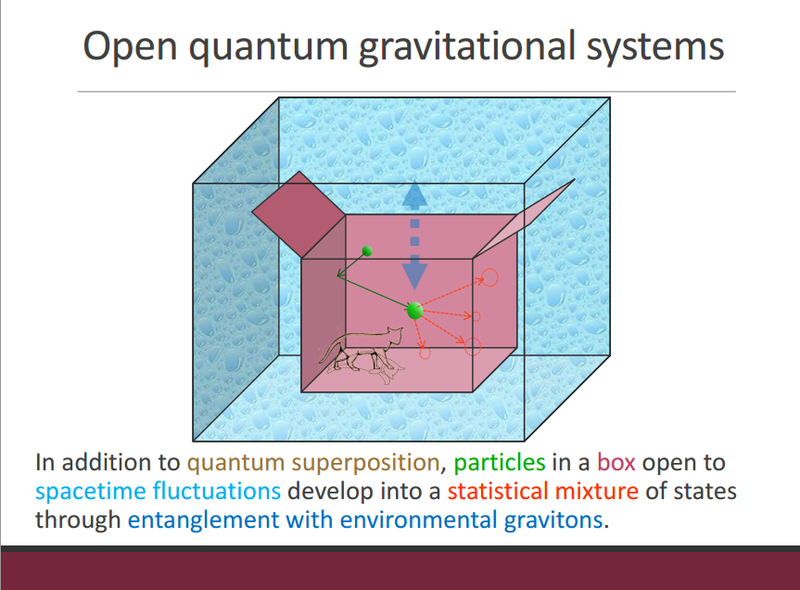 There are not enough cats featured in slides on gravitational physics. I’ve collected together tweets and links from the science talks: it was a busy two days! We started with Chris Collins talking about testing the inverse-square law here at Birmingham. There were a couple more experimental talks leading into a session on gravitational waves, which I enjoyed particularly. I spoke on a soon-to-be published paper, and Birmingham PhDs Hannah Middleton and Simon Stevenson gave interesting talks on what we could learn about black holes from gravitational waves. Slides demonstrating the difficulty of detecting gravitational-wave signals from Alex Nielsen’s talk on searching for neutron star–black hole binaries with gravitational waves. Fortunately we don’t do it by eye (although if you flick between the slides you can notice the difference). In the afternoon, there were some talks on cosmology (including a nice talk from Maggie Lieu on hierarchical modelling) and on the structure of neutron stars. I was especially pleased to see a talk by Alice Harpole, as she had been one of my students at Cambridge (she was always rather good). The day concluded with some numerical relativity and the latest work generating gravitational-waveform templates (more on that later). The second day was more theoretical, and somewhat more difficult for me. We had talks on modified gravity and on quantum theories. We had talks on the properties of various spacetimes. Brien Nolan told us that everyone should have a favourite spacetime before going into the details of his: McVittie. That’s not the spacetime around a biscuit, sadly, but could describe a black hole in an expanding Universe, which is almost as cool. The final talks of the day were from the winners of the Gravitational Physics Group’s Thesis Prize. Anna Heffernan (2014 winner) spoke on the self-force problem. 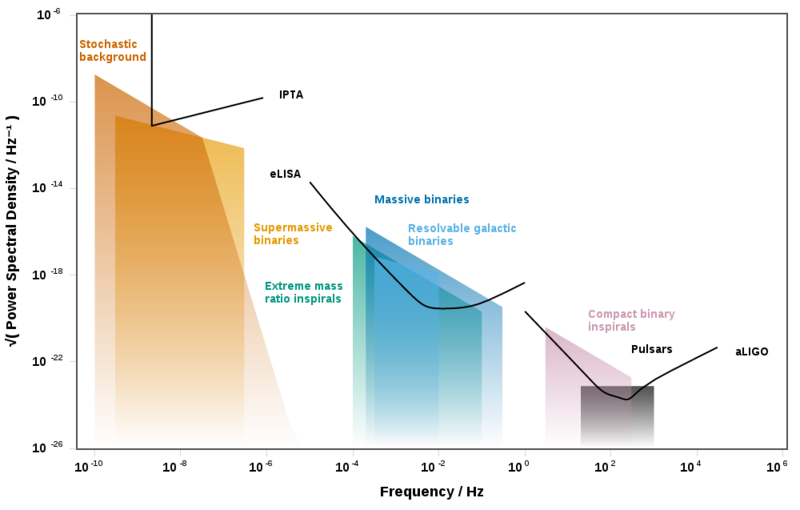 This is important for extreme-mass-ratio systems, such as those we’ll hopefully detect with eLISA. Patricia Schmidt (2105 winner) spoke on including precession in binary black hole waveforms. In general, the spins of black holes won’t be aligned with their orbital angular momentum, causing them to precess. The precession modulates the gravitational waveform, so you need to include this when analysing signals (especially if you want to measure the black holes’ spins). Both talks were excellent and showed how much work had gone into the respective theses. The meeting closed with the awarding of the best student-talk prize, kindly sponsored by Classical & Quantum Gravity. Runners up were Viraj Sanghai and Umberto Lupo. The winner was Christopher Moore from Cambridge. Chris gave a great talk on how to include uncertainty about your gravitational waveform (which is important if you don’t have all the physics, like precession, accurately included) into your parameter estimation: if your waveform is wrong, you’ll get the wrong answer. We’re currently working on building waveform uncertainty into our parameter-estimation code. Chris showed how you can think about this theoretical uncertainty as another source of noise (in a certain limit). There was one final talk of the day: Jim Hough gave a public lecture on gravitational-wave detection. 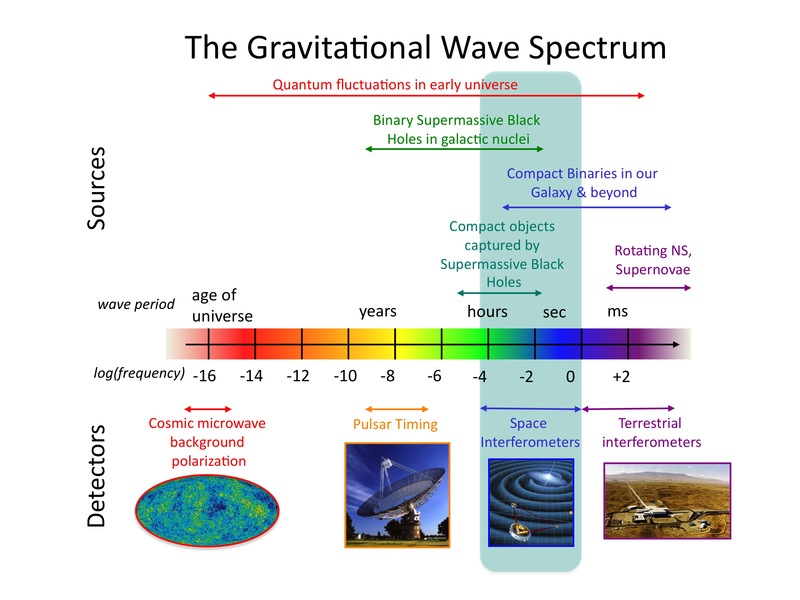 I especially enjoyed Jim’s explanation that we need to study gravitational waves to be prepared for the 24th century, and hearing how Joe Weber almost got into a fist fight arguing about his detectors (hopefully we’ll avoid that with LIGO). I hope this talk enthused our audience for the first observations of Advanced LIGO later this year: there were many good questions from the audience and there was considerable interest in our table-top Michelson interferometer afterwards. We had 114 people in the audience (one of the better turn outs for recent outreach activities), which I was delighted with. We had a fair amount of interest in the meeting. We totalled 81 (registered) participants at the meeting: a few more registered but didn’t make it in the end for various reasons and I suspect a couple of Birmingham people sneaked in without registering. Looking at the attendance in more detail, we can break down the participants by their career-level. One of the aims of BritGrav is to showcase to research of early-career researchers (PhD students and post-docs), so we ask for this information on the registration form. The proportions are shown in the pie-chart below. Proportion of participants at BritGrav 15 by (self-reported) career level. PhD students make up the largest chunk; there are a few keen individuals who are yet to start a PhD, and a roughly even split between post-docs and permanent staff. We do need to encourage more senior researchers to come along, even if they are not giving talks, so that they can see the research done by others. We had a total of 50 talks across the two days (including the two thesis-prize talks); the distribution of talks by career level as shown below. Proportion of talks at BritGrav 15 by (self-reported) career level. The majority are by PhD students. 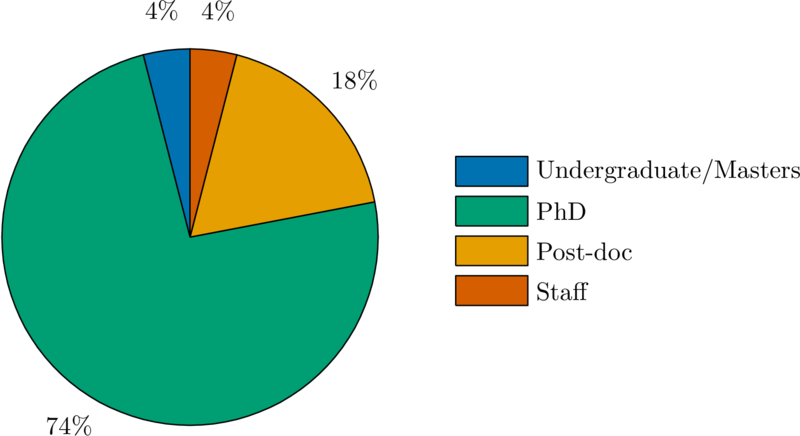 PhDs make up an even larger proportion of talks here, and we see that there are many more talks from post-docs than permanent staff members. This is exactly what we’re aiming for! 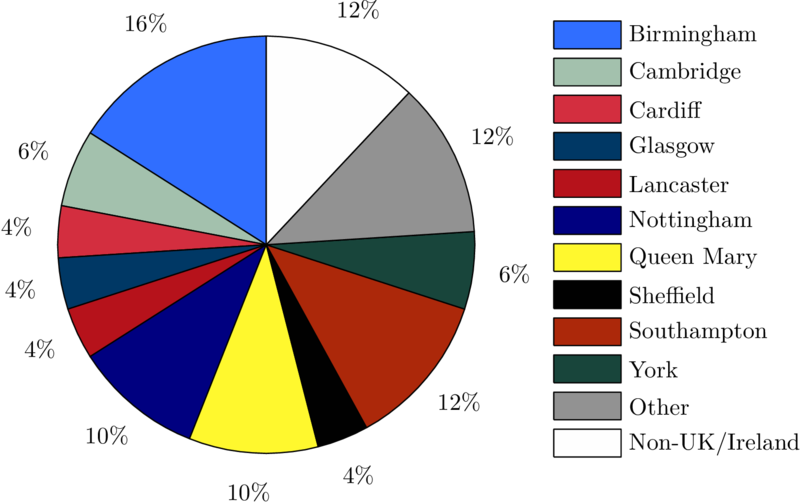 For comparison, at the first BritGrav Meeting only 26% of talks were by PhD students, and 17% of talks were by post-docs. There’s been a radical change in the distribution of talks, shifting from senior to junior, although the contribution by post-docs ends up about the same. 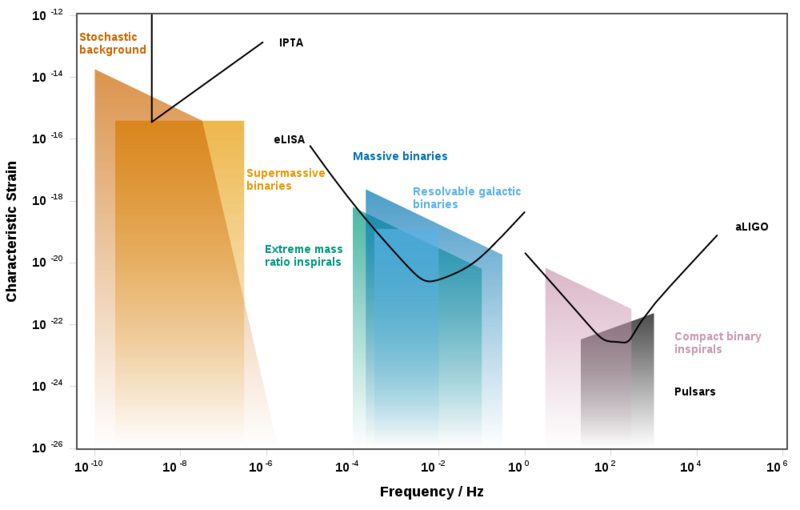 We can also consider at the proportion of participants from different institutions, which is shown below. 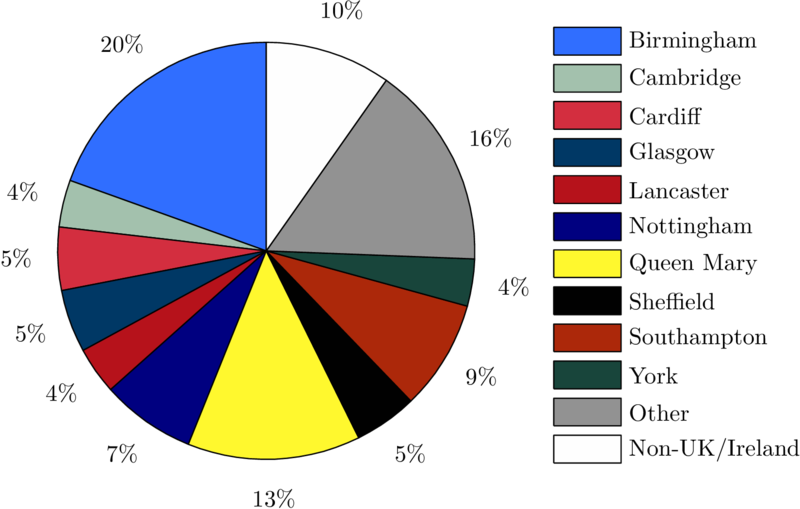 Proportion of participants at BritGrav 15 by institution. Birmingham, as host, comes out top. Here, any UK/Ireland institution which has one or no speakers is lumped together under “Other”, all these institutions had fewer than four participants. It’s good to see that we are attracting some international participants: of those from non-UK/Ireland institutions, two are from the USA and the rest are from Europe (France, Germany, The Netherlands and Slovenia). Birmingham makes up the largest chunk, which probably reflects the convenience. The list of top institutions closely resembles the list of institutions that have hosted a BritGrav. This could show that these are THE places for gravitational research in the UK, or possibly that the best advertising for future BritGravs is having been at an institution in the past (so everyone knows how awesome they are). 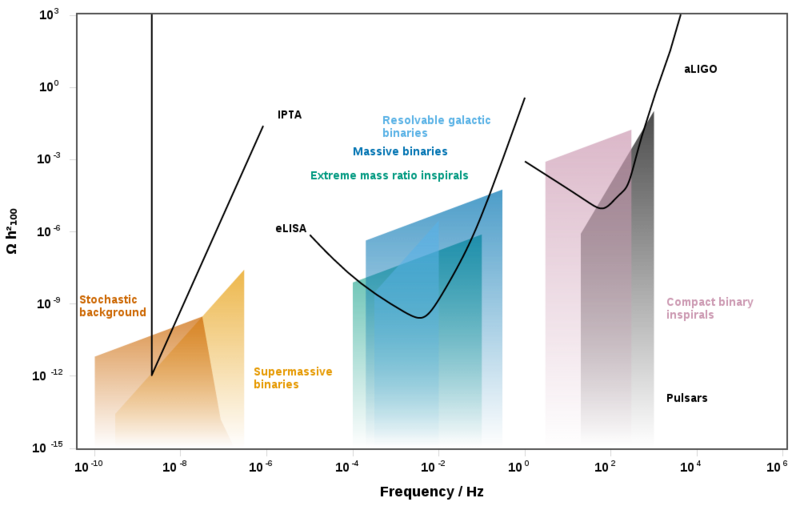 The distribution of talks by institution roughly traces the number of participants, as shown below. 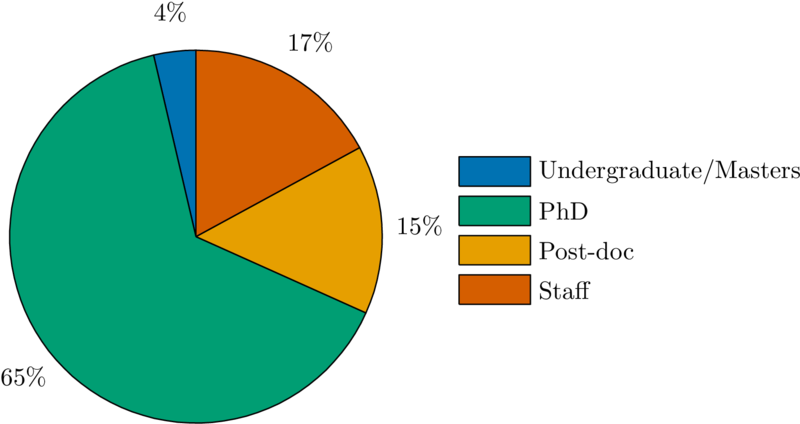 Proportion of talks at BritGrav 15 by institution. Again Birmingham comes top, followed by Queen Mary and Southampton. Both of the thesis-prize talks were from people currently outside the UK/Ireland, even though they studied for their PhDs locally. I think we had a good mix of participants, which is one of factors that contributed to the meeting being successful. I’m pleased with how well everything went at BritGrav 15, and now I’m looking forward to BritGrav 16, which I will not be organising.